Are you ready to know everything about Tea? Whether you are a newcomer or a tea expert, there are several interesting facts about tea you should know. This unique beverage, the second most consumed worldwide, has delighted us for centuries. So we want to offer you, fellow tea lover, an alluring space where you can satisfy your curiosity about tea trivia. Sit down, relax and let us guide you through some interesting facts about tea. What is Tea? Where does it come from? This special drink gets to your mug after drying and processing the leaves or buds of the tea plant, Camellia Sinensis. It brings you many health benefits due to the high amount of antioxidants that revitalize your body and mind. All teas come from the tea plant Camellia Sinensis. An evergreen shrub, which originated in Asia, is nowadays cultivated throughout the world in tropical and subtropical regions. It can reach up to thirty feet in height. The original plant had evergreen leaves that became dark green, harsh and smooth later on. Every time you drink a cup of tea, you are taking part in a piece of history and in this section of Facts About Tea, we look at the very beginning of tea. It is said that tea was accidentally discovered in China, in 2737 BC, by Emperor Shen Nung, when a few tea leaves fell into his pot of boiling water. However, the habit of drinking tea leaves stepped in a tea pot became popular only during the Ming Dynasty (1368-1644). Find out more about this and other stories as we look at the Origin of Tea in China, Japan and India. For you to enjoy your delicate drink, the Camellia Sinensis leaves and buds have to undergo some transformations. This is what distinguishes each tea from the other. The aroma, flavor and color are determined by the processing methods each tea goes through. Such methods include: Picking; Withering; Rolling; Oxidation and Drying. In this section of Facts About Tea, we will be taking a deeper look inside at the art of Processing Tea and learn how each step in the process affects the outcome of your tea. There are main four types of tea and they all come from the tea plant Camellia Sinensis - Green tea, Black tea, White tea and Oolong tea. Other types also exist but are more difficult to produce and to come by. Their properties and flavor differ according to the processing methods the tea leaves undergo. One of the most interesting facts about tea is that all the other teas, Herbal teas, are not considered real teas since they don’t come from the tea plant. 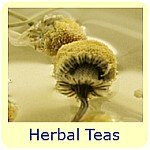 These infusions or tisanes, as they should be called, are made from other great plants. Tisanes are made from fresh or dried leaves, flowers, grasses, barks, roots, seeds or fruits and offer you a wide range of benefits. They are a healthy solution to many health issues. Drinking tea is extremely healthy. That's one of the best facts about tea for you to remember. As you may know, it is rich in antioxidants, namely catechins and flavonoids, which reduces the risk of disease, stroke, diabetes, cancer, tooth decay, slows down the ageing process, etc.! The benefits of tea may seem endless, especially if you add herbal teas into the mix. Ah, caffeine! It gives you that push you need during the day. Some of us simply cannot live without that extra jolt of energy. This is one of the most important facts about tea that may determine how much tea you drink. How much caffeine content is in your cup of tea? Well, you'll be correct in guessing that it normally is less than what a cup of coffee contains. 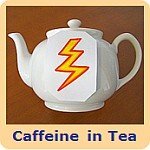 Go ahead and find out what affects the levels of Caffeine in Tea or how much your favorite type of tea holds. Also, discover why caffeine in tea is healthier than that of coffee and how you can still reduce the amount of your caffeine intake from tea. One of the forgotten facts about tea is that a few herbal teas actually do contain caffeine, like guarana tea and yerba mate. Others can serve as a coffee substitute just for the sake of their flavor, without any of the caffeine (for example, barley tea). Iron Absorption – What’s the story? A health concern associated with drinking tea is how it affects the levels of iron in your blood. So, how does tea influence your iron absorption? Unfortunately, the presence of tannins in tea, though healthy for you, may actually prevent your body from getting to the iron that is inside the food you eat. But, wait! This only may happen if you drink more than 1.5 liters (0.4 gallons) of tea a day. If you are healthy, don’t suffer from an iron deficiency and have a nicely balanced diet; then drinking that much tea should not pose a problem for you. Otherwise, this is one of the facts about tea to keep in mind. However, you could always wait 40 minutes after each meal before pouring your cup of tea. Let your body work its way through your food and get you the healthy nutrients and iron you need. This is one of the reasons why doctors advise pregnant women to lower their intake of tea. So, if you are expecting, make sure your baby gets all the iron it needs. Here are some tips in case you suffer from iron deficiency: eat red meats, vegetables (particularly spinach) and fish! And drink nettle tea! Tea comes to you in many forms. 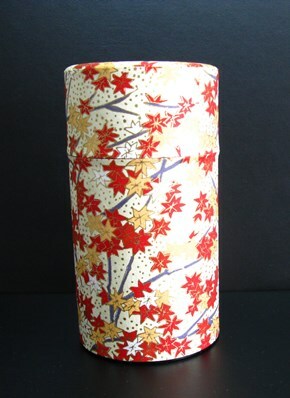 From the ancient loose leaf form, compressed tea bricks to the more modern canned or instant teas. Teabags date back to the beginning of the 20th century and today they are one of the most convenient ways for you to brew your tea. 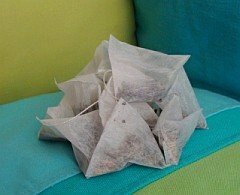 So whether your teabags are in the common rectangular shape or the newest pyramid shapes, they are a great way for you to quickly have a cup of tea at the office, when you travel or simply when you are short of time. Tea can also be found as canned beverages, ready to drink and can be found in vending machines. This is a great solution for the summer heat. In airports or the office cafeteria you may come across the instant tea version. This is a favorite first drink for when you arrive at the office on a particularly cold winter day and just need something quick to warm up. Not much variety in flavors is available and the amount of sugar in this version of tea does not make it particularly healthy, but at least it’s something warm. In terms of fully experiencing tea, than you should definitely choose loose leaf tea. 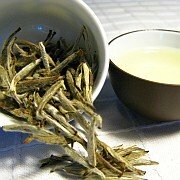 It is worth acquiring whole leaf tea and then enjoying the whole process of brewing the tea. Rarer and more unique varieties and blends are only available in this form. The flavor of your tea will certainly benefit from this choice. Take a moment as you brew a pot of tea, to watch as the leaves unfold and the scent fills your senses. Though tea bags come in many different flavors nowadays, they contain fragments and broken leaves. It is a totally different experience. Whether you choose to get your tea in loose leaf or tea bag form, it is important to properly store your tea. Pick the proper container for your tea and learn what you need to do to prevent your tea from going bad. Read about tea storage and understand what elements can ruin your tea. Even though you should always try to taste your tea unsweetened, sometimes it’s perfectly fine to add something sweet to your tea. But which is better, sugar or honey? If you want to know why and also find out what are the many health benefits of honey and why it makes the perfect complement to your tea, go ahead and dig deeper into this section of Facts About Tea. Not all teas call for milk and it certainly does alter the flavor of your tea. So should or shouldn’t you add milk to your tea? 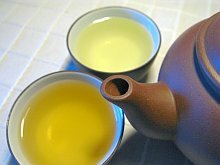 If you are trying a new pure tea, do not add milk to it. Part of the tea tasting experience is to drink it plain. No milk, no sweeteners, just the tea. This is the best way to get an honest first impression about each tea. Later on, you can add milk, if it suits you. The exception stands for some tea blends that do call for milk. Chai would not be Chai without milk. Check out this chai tea recipe! Here’s an important tip: if you add milk to tea, it will offer you a selection of vitamins and mineral, manganese and potassium, which will be fantastic for bone growth and neuron and brain function. Keep this in mind! Now about boiling water... 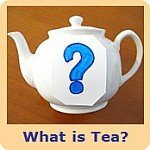 In this section of facts about tea, we will be explaining why kettles are the preferred choice. Whether you use electric tea kettles, a cordless kettle or any other that you prefer it is always better than to boil water in the microwave. When using a kettle you can easily control and adjust the water temperature, which is very important when preparing delicate teas. You can hear it and see it when it reaches the boiling point you desire. It is almost impossible to do that using the microwave. Read more about Electric Tea Kettles and why they can be a great investment for your tea experience. If, however, a microwave oven is the only option you have available, whether at home or at the office, make sure you are aware of some basic microwave safety tips when heating water for your tea. The perfect water temperature depends entirely on the type of tea you are brewing, so make sure to read information about the tea you are about to drink. If the water is too hot, it may ruin the flavor or benefits of your tea. Preparing tea is about enjoying its scent, observing the leaves dancing in the water and releasing all its amazing benefits for you to drink. It’s a pleasure and we are sure you, a tea lover, prefer to savor every step till it gets into your cup! Where in the World Would You Find Tea? A Facts About Tea section would not be complete with some statistics. So let's get to it! Did you know that one of the few places in Europe where tea is produced is in the Portuguese islands of Azores? This is one of the facts about tea that is closest to our hearts! 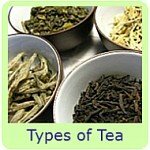 Teas can be divided into types, but can also be graded according to the quality of tea leaves. 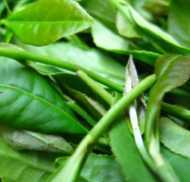 Grading is both determined by the size of the leaf and by the tea production method. There are five main tea grades and two additional qualifying traits. Tea grades include: Dust, Fanning, Broken Orange Pekoe, Orange Pekoe and Flowering Orange Pekoe. The additional traits are Golden and Tippy. Orange Pekoe and Flowery Orange Pekoe refer to the best quality tea which is whole leaf tea. The grade with the least quality is that of Dust, which consists of small particles of tea leaves and tea dust. Is it a real tea in the sense that it comes from the tea plant or is an herbal tea? You will find not one, but three different types of teas being referred to as red tea. First, there is the herbal tea, rooibos, which people sometimes refer to as red tea or red bush tea due to its color. It is often sold under this name. In China, classification of types of tea is different to that of the West. What we consider black tea, in China, it is classified as red tea. And what in the West is referred to as dark or post-fermented teas (see Pu Erh Tea), in China you will find it under the classification of Black tea. Sometimes, post-fermented tea is mistakenly called red tea in the West, but this is not really correct. Well we will be glad to answer some of your questions and let you know more interesting facts about tea and tea trivia further on. Come visit us!